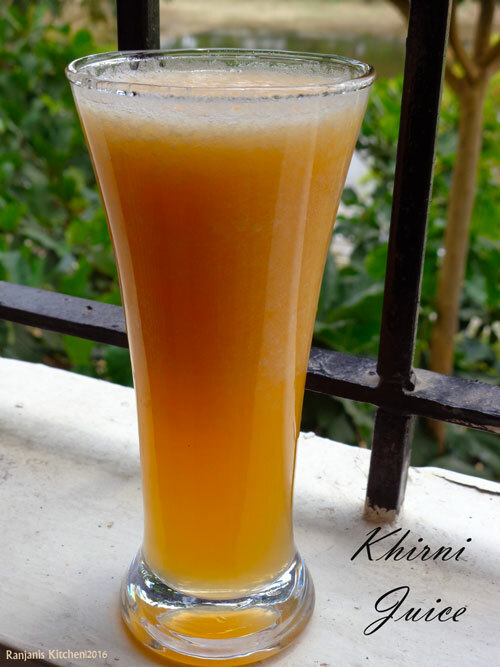 Cantaloupe Juice / Muskmelon Juice – vitamin C rich refreshing drink. 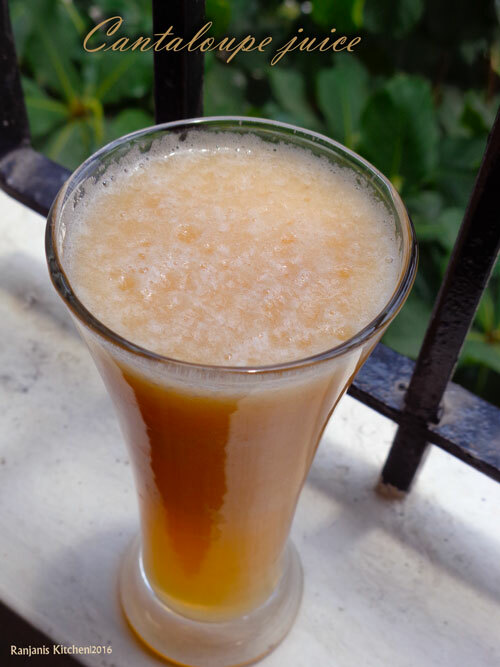 This cantaloupe juice can be made with carrot,beet or any other fruits. The nutrients present in this fruit will boost your immune system. You can make muskmelon paste and keep it in the refrigerator for 2 days. whenever you want , you can add water and serve. But I always love to make it fresh as it gives a real flavor and glorious color for this muskmelon juice. Such a simple making of juice , scoop the pulps and blend that’s it. This fruit can be eaten as wedges like watermelon. Here are cantaloupe health benefits for reading. You might like these juice recipes as well. 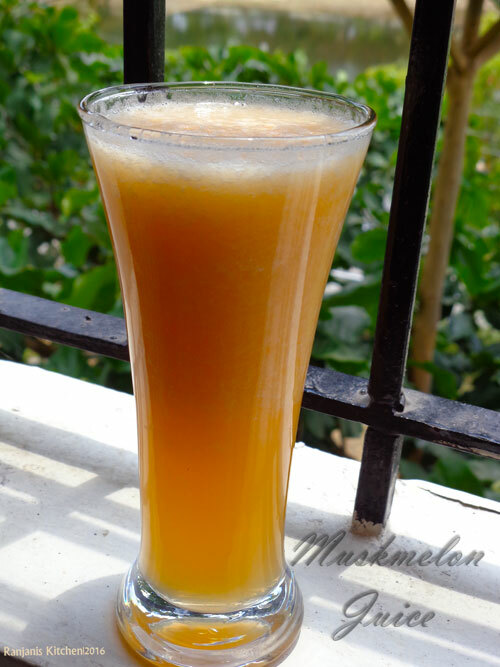 Muskmelon(khirni pazham) – 1 no. Cut muskmelon into two halves. Deseeded in the centre, scoop the pulps using spoon or knife. Process it to smooth paste. Add enough water before serving. Adding lemon juice is optional. The juice will be good without adding lemon as well. The pulps are easy to scoop as it is very soft. Adjust sugar as of your taste.